The concept of fantasy cricket app has thrilled Indian cricket lovers. They want to try the best fantasy app to experience the game. Looking at the growing demand, many fantasy apps have been launched for Android and Apple smartphone users so far. The field is competitive these days. If you are thinking to launch your fantasy app, you are a little bit late. It doesn’t mean you have no scope for getting success. All you need to do a right planning and hire an expert fantasy apps development agency. Let’s understand the key features that can make your fantasy app successful. Give users multiple options for registration. They can register using their email Id, phone number and mentioned referral code (in case, provided by friends). Easy registration encourages players to participate in the game. A default screen is a screen where users will land on after logging, so the entire match misting should be displayed here. Users have options to filter a search by Sports Type, Matches, Match Category and Match listing. As the user selects his favorite match, he will be automatically redirected to the contest screen. 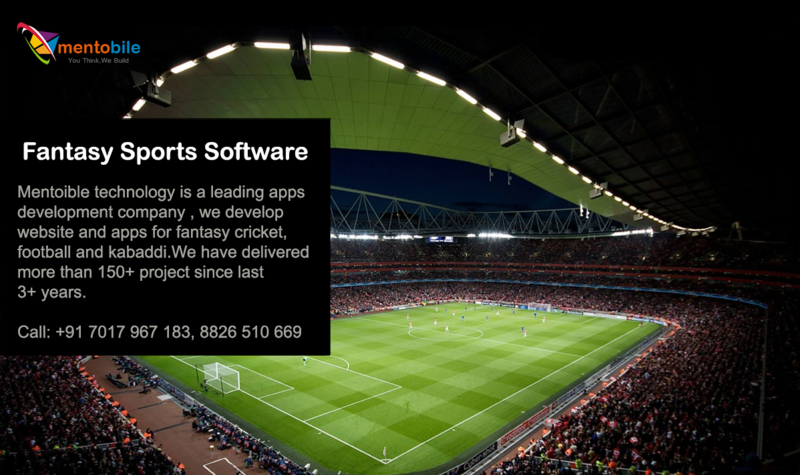 Since your focus is to develop the fantasy sports software development for mobile users, the app should be lightweight. When users scroll and compare a program, the first thing they notice is the app size. If the app is heavy, users may avoid installing. A lightweight app is installed quickly and is not annoying. A heavyweight fantasy app can be uninstalled after some time by users. On the other hand, users don’t mind to keep the lightweight app installed for a long time. Make sure the screen can help users to view the entire contest listings of the respective match such as filtration of a contest by contest size, type, winning range, entry fee etc. Users should have options to select their desired contest and join it. When users play a fantasy cricket game, they don’t want to be secure when it comes to paying off. Various payment options encourage them to participate in the virtual game. The section can make your app popular. So, it should be designed carefully. The custom support includes freedom to view and edit the picked team players. It should support advanced search filter option to select players by Match types. In this section, users can able to easily share the app URL to their friends to invite them to play the game. A referral code is generated to share with friends. For this sharing, users will get a bonus. This is one of the best features to create a chain of new users.